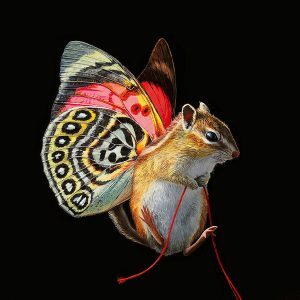 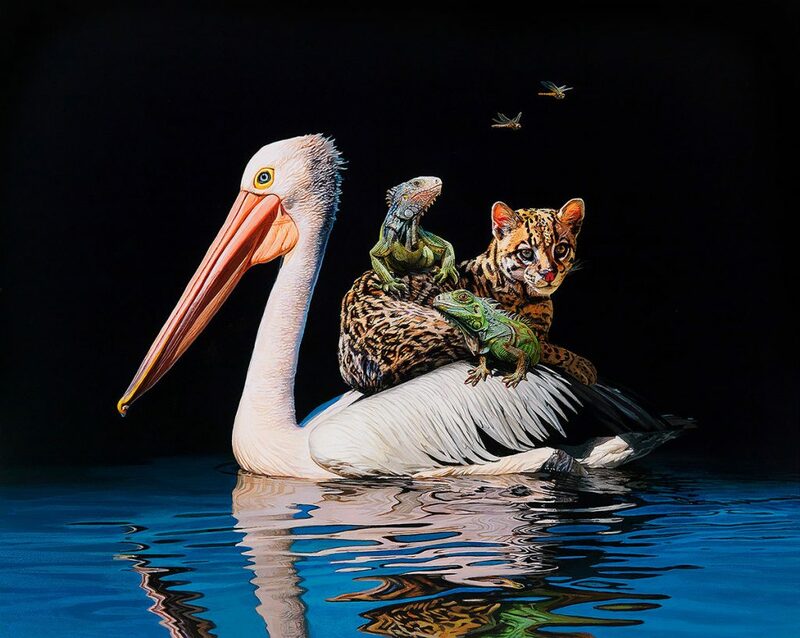 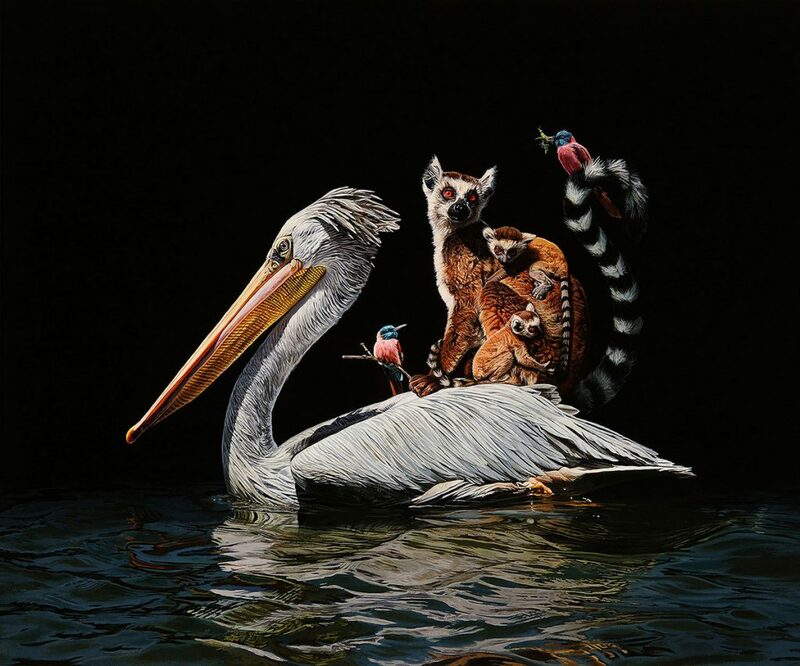 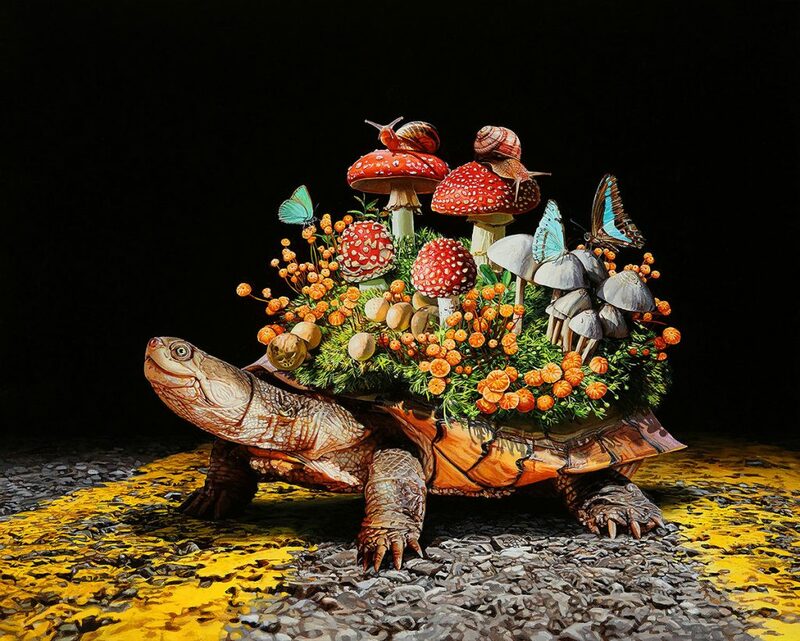 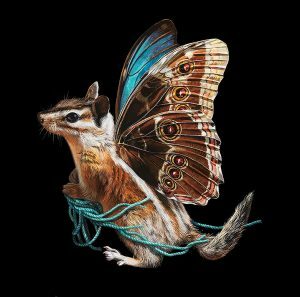 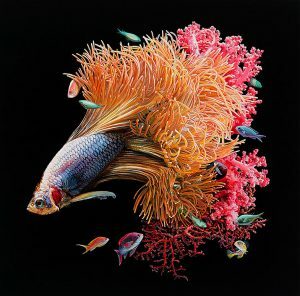 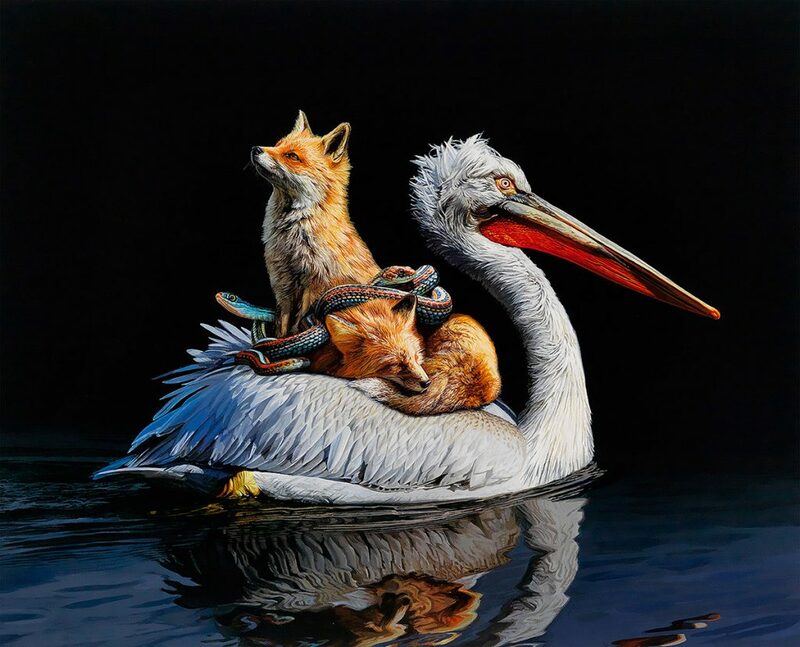 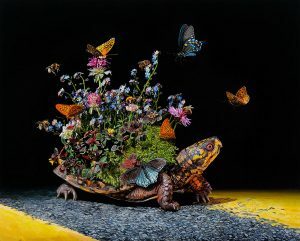 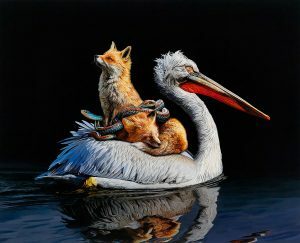 Lisa Ericson first became known for her photo-realistic renderings of “mouser-flies” (rodents with butterfly wings) and subsequently paintings of fish whose sprawling fins act as habitats for smaller species in need of protection. 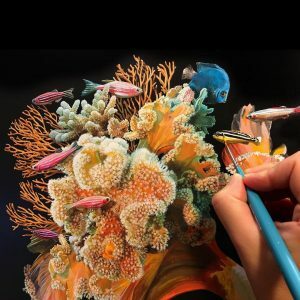 Her technical skill is beyond compare. 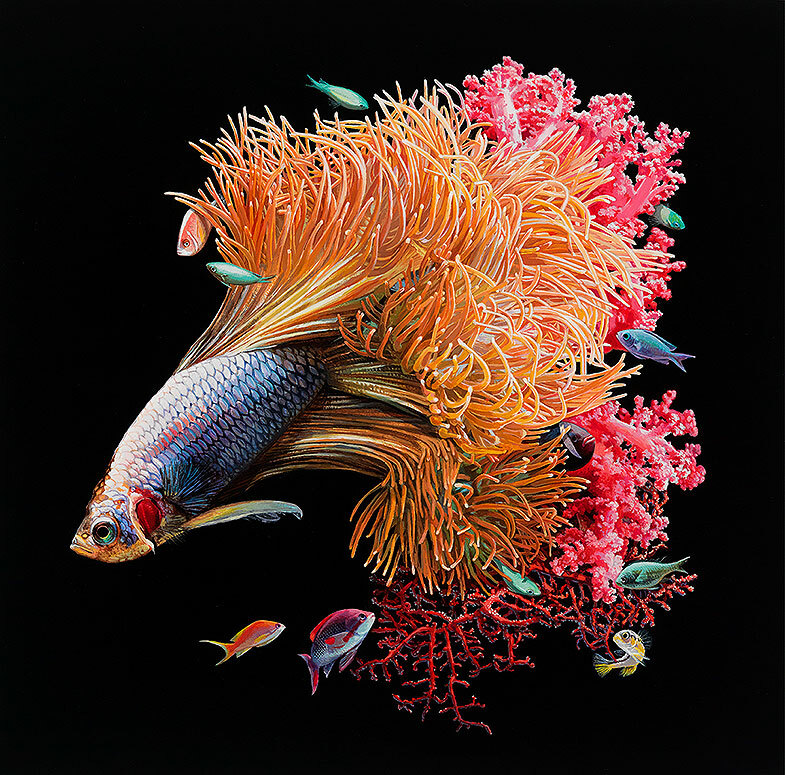 The depth of her feeling really shines through in her gorgeous depictions of supernatural beings which look as though they could be photographs taken on a night safari or deep-dive.